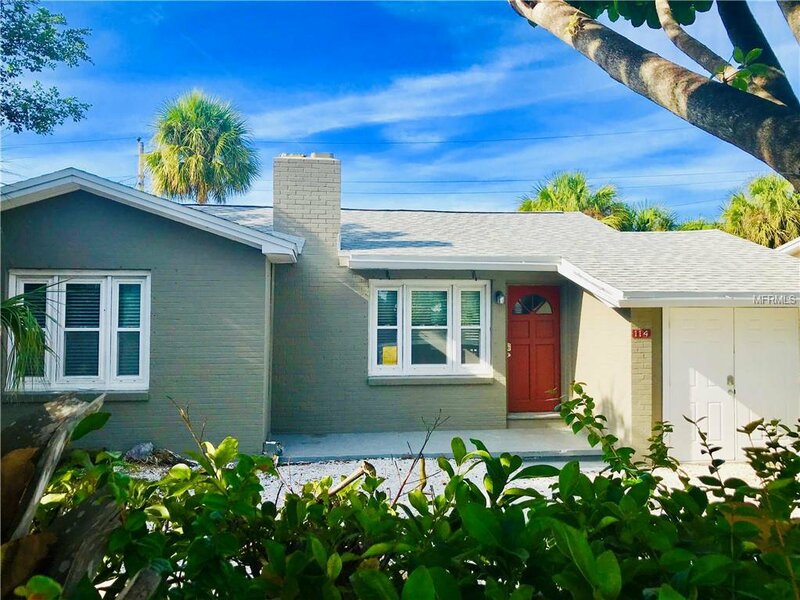 Do not look any further, this is the only house for sale in Madeira Beach under 300K, located across the street from the beautiful public beach. Take a towel and have a short walk to enjoy your swimming and beautiful sunsets every day it’s not a dream anymore! This cozy house is not only affordable, it has newer energy star roof 2016, newer Lennox air conditioner, an updated plumbing and electric, remodeled kitchen with quartz counters, brand new Vinyl flooring and permitted sub-flooring. This is very rear opportunity to have home not only with private backyard and large deck, but also private front yard as well. NO GARAGE, but plenty of parking, you can park up to 5 cars. Extra storage upfront and shed on the backyard. This home is not a flip! Washer & Dryer do not convey. Home passed a wind mitigation and four point inspections. Listing courtesy of LLOYD REALTY. Selling Office: ENTERPRISE REALTY SERVICES LLC.